Meet the DigiTech Polara: a fresh reverb pedal set to take you to the final frontiers of the sonic galaxy. The Polara offers seven modes that cover the gamut of reverb effects, from standards like Plate and Spring to more out-there settings like Halo. This is a pedal that plays especially nice with the rest of your board, offering a massive palate of experimentation at a reasonable price. 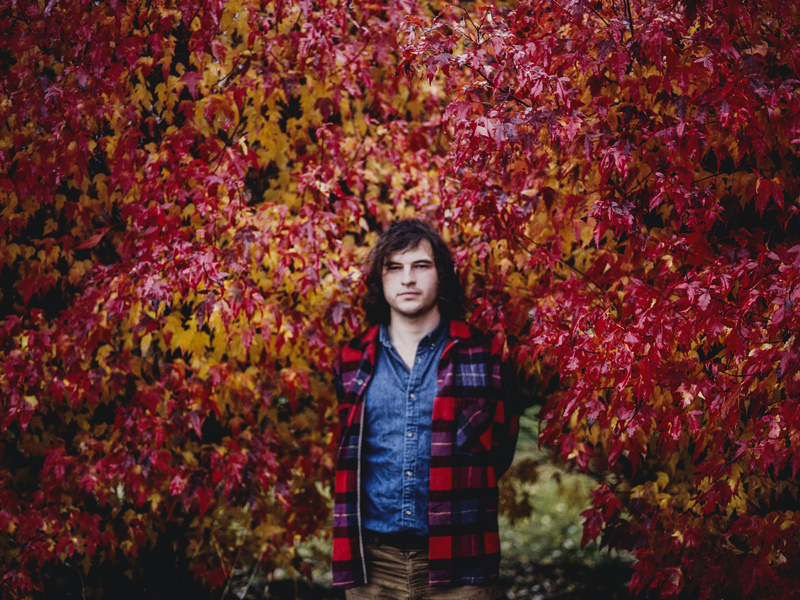 Ryley Walker isn’t your average singer/songwriter. His lyrics are complex and layered, his fingerpicking is anything but intermediate, and his music has a wonderfully, jazzy 70s vibe to it. 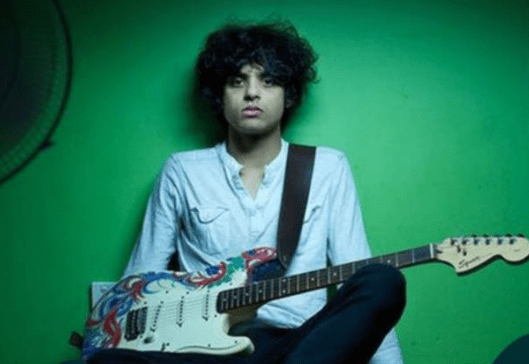 His latest album, Primrose Green, is quickly garnering attention from music critics everywhere. Walker is a prodigious talent. He’s one of the leading young stylists in a crowded instrumental guitar scene. He possesses the light touch of Bert Jansch, the unbottled energy of Peter Walker, and the musical erudition of John Fahey… Walker is versatile, too, with a chameleonic quality that allows him to slip into ragged electric blues and bucolic acoustic reveries with equal ease. Walker, an avid Guild fan, took a break from his busy tour schedule to drop by Guild HQ and chat with us about his love for Guild. GG: How did you first discover Guild? RW: My friend was really into Guilds for a long time and I was playing his D-35. I found mine at a dusty old pawn shop in the southside of Chicago. You know how everyone always has those stories, like, oh, I went to a pawn shop, I found this amazing guitar. And you’re like, why has that never happened to me?! Like, why have I never got to a garage sale and found a beautiful guitar? Then finally it happened to me and I went to a pawn shop and was like, a D-35! And he’s asking nothing for it! I was like, alright man, I’ll take this. It was great, I got really lucky. It happens once in a lifetime. GG: How long have you had that Guild? RW: I’ve had it for four years now. I’ve definitely put a lot of miles on it, I’ve roughed it up a lot. It looks cool, it ages nicely like a fine wine. Like a fine, dirty wine. GG: You recorded the majority of Primrose Green on this guitar; why did you choose your D-35 as your main recording guitar? RW: I know exactly what’s gonna happen with that guitar–it always delivers in the studio. And I’m not like, a big gear guy, you know? I’m not like, look at all my pedals! This guitar is so simple, live or on the record, it’s just perfect. It handles so well, it sits on your lap so nicely, it’s just like aaaaahh. I think the mystique of the instrument is a lot cooler than these sort of technical, proper guitars. GG: Is it your main touring guitar as well? RW: It is, and I love it. I have this crappy case it came with, the handle’s breaking off so I have to carry it under my arm. But it goes with the guitar, they don’t like to separate. I walked around all of Europe with it like an idiot. There’s just a lot that guitar has given me. GG: How do you feel about the Guild community–you’ve mentioned before that it’s sort of like a cult? RW: You see a guy playing a Guild and you’re like, yeah, this guy gets it. It’s the working man’s guitar–it’s a guitar that you find and finds you at the same time. Guild represents a time in America when folk was starting to get big in the 50s and 60s, and Guild wasn’t pretentious. They were just really simple, made lovingly in the factory out there, and made for everyone, not just for guitar gods. I think Guild represents a lot of what I respect—guitars for everybody, and beautifully crafted at that. My essentials would be my guitar, so I’d probably get an electric guitar, my keyboard would be a Korg R8, which is a kind of virtual analog synthesiser, and some sort of loop machine, like maybe a Boss loop machine, with multiple inputs, so I can loop the keys, play bass on the keys and loop the guitar over it. I would probably also bring a drum machine as well. I’m not sure exactly what type, because all of my drum machines have custom samples on them anyway, but maybe a laptop with Addictive Drums on it or maybe EZdrummer, something with more of a live kind of sound. I play a Squier Stratocaster, which is the cheapest guitar on the market. The reason why is because I got it painted by a friend of mine, this particular guitar, and I really loved the paint job that he did on it, so I wanted to play it live, and it was a Squier Strat. To be honest, a lot of people ask me why I play Squiers and not Fenders or why the cheaper models. It’s just kind of what I’ve gotten used to. I never could afford a Fender when I started, so I just got used to playing the cheaper ones and learning how to get the best sound from those cheaper ones. Learning what you can get away with and more importantly what you can’t get away with on those cheaper ones was an important part of my development. It’s as is. It’s a Squier Affinity Strat, with the fat headstock. I don’t think they make those anymore, but I bought it a few years ago. There’s no changes, it’s stock standard what you’d probably go into a store and buy for about $150, $200. In my opinion, the neck pickup — and this might change depending on the actual make of the Squier — but the neck pickup is really good and I think you can get away with making it sound like a Strat with the neck pickup and actually the bridge pickup, too. But the middle pickup is not so good and the changes between the neck and the middle and the middle and the bridge, those switches don’t sound good at all. So it’s more about finding the right setting and knowing you can’t really go onto those other settings even if you wanted to, and to be honest I don’t really need to, because the Stratocaster is so versatile. I had a traditional pedalboard with all the different kinds of pedals that I need for my sound, but just the logistics of taking that on planes and things like that [was too difficult]. I already have a whole bunch of equipment just for my own live show, I was paying so much for excess baggage, it’s changed now that I have some deals with Virgin, they give you musician baggage allowance, but before I didn’t really know about anything like that. So I really had to simplify my setup and find the right gear that was really light and that’s able to travel and not break. So I’ve changed from pedalboards to multi-effects units. So I use Zoom Multi Effects units and with the right amount of tweaking, I really like them. They’re clones of the Big Muff and Buzz Fuzz and compression pedals and digital delays, and it sounds really good if you just spend the time tweaking it. It’s so much easier to set up at a gig when you’ve only got 10 minutes to set up. The gear doesn’t really influence the songwriting, because the songwriting doesn’t really rely on my gear. I just kind of go with what I’m feeling for the song or what I have in mind. I don’t really loop anything. I play bass or drums or keyboard and layer it down like a traditional band would. That doesn’t really influence my songwriting, but it does influence the recording process, because you can’t change the sound of the guitar that much. You can always process it, add you fuzz and delays, but essentially the sound is coming from the same source, so the recording process is limited to what instruments you have and what you can use to make sounds. I think a lot of it is just people knowing how to mic and amp properly, because a lot of people that I see, they just stick an SM57 (mic) in the middle of the cone. There’s nothing wrong with that, you can get away with that, but if you’re going for like the big tones or the fuzz that I like on my records, the really wide fuzz that covers the whole spectrum of the recording, you really have to experiment how to get really bassy tones or how to capture the stereo field of that amp. And you don’t necessarily need two mics to do it, it’s just in how you go about using your gear. When you’re first starting out, you’re always looking for, “Oh, what else can I do or get?” instead of actually learning the instrument. You’re kind of more focused on what cool stuff you can do, and there’s so many pedals out there these days that can make your guitar sound like whatever you want. You can even add MIDI pickups to your guitar and play keyboard with your guitar, there’s so much you can do. And I think maybe some of the people starting out get caught up with what you can do instead of what you should do, which is learning your instrument. But I understand it, because it’s cool, it’s cool what you can do with your guitar. I always have to use a lot of noise suppression and noise gating on my guitar signal and sometimes on the bass signal, and that’s another problem with the Squier, actually, it feeds back a lot. So you kind of really have to gate it if you’re driving the amp and the fuzz really hard, because that’ll come back in your monitors on stage and that’ll go through your guitar and everything will start squealing. So a lot of noise gating and noise suppression helps me get a really clean fuzz tone and helps tame the monster.